The House Republicans, with the blessing of Donald Trump have released the Nunes memo. Was it a success? Did they successfully indict law enforcement (FBI)? Were the contents truly "shocking"? * It is not an official document from either the FBI or the FISA court. It is just an opinion piece from a Trump-supporting Republican congressman (Devin Nunes, a member of the Trump transition team). * It was written by Nunes staffers in collaboration with White House staffers. * The memo does not contain all of the information used to get the FISA warrants on Carter Page. 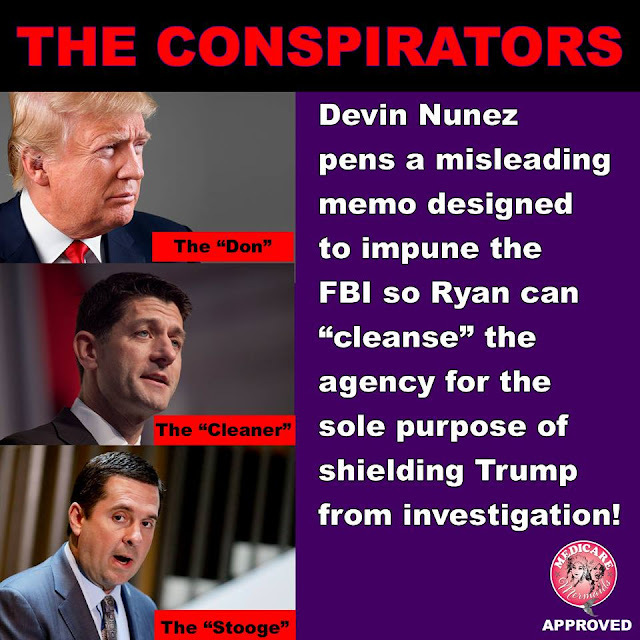 It just includes those that Nunes thought supported his cause, and omits the rest. * The FBI had asked the memo not be released, because they feared it could expose sources or investigative techniques that could harm future investigation efforts. * For a couple of weeks now, the Republicans have been talking about the "shocking" information in the report. Considering all of the above, one would have thought the memo would contain some truly earth-shattering information (whether true or not). It didn't. The big accusation was that the investigation and FISA warrants were issued solely on the basis of the Steele dossier. That fails on several counts. First, the investigation started before the Steele dossier was issued. Second, most of what's in that dossier has been established to be true. And third, that dossier was not all that was used to get the FISA warrants. Nunes just omitted the other things establishing probable cause. The memo was nothing more than a rather tepid and disingenuous (and boring) effort at propaganda to confuse Americans and protect Donald Trump. I am reminded of a past burger commercial, where a lady asks "Where's the beef?". There is no "beef" in that memo. It is just a nothing-burger.